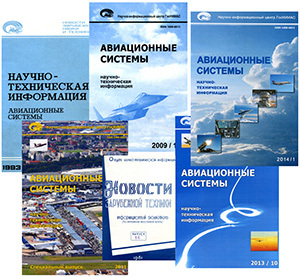 “Aircraft systems development” computer database was entered in the State register of computer programs and databases of the Ministry of Telecom and Mass Communication of the Russian Federation on April 23, 2002. The database contains full-text issues of GosNIIAS Express Technical Information. 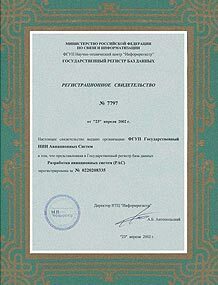 “Scientific & Technical Library information and reference system” computer database was entered in the State register of computer programs and databases of the Ministry of Telecom and Mass Communication of the Russian Federation on December, 13, 2006. The database contains full information on GosNIIAS library stock content. 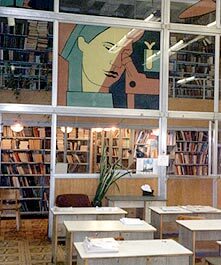 GosNIIAS scientific and technical stock comprises as many as 120,000 items, including 70,000 books and 50,000 issues of periodical publications. 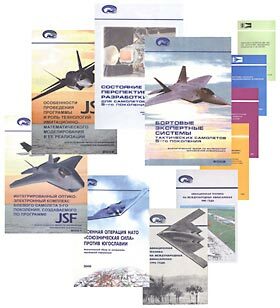 The stock was built and is regularly refilled in the following areas: mathematics, physics, computational mathematics, cybernetics, aviation, radio engineering, etc. The periodicals are presented by a wide range of domestic and foreign journals. Address: GosNIIAS R&IC, Viktorenko str., 7, Moscow 125319. Tel. : +7(499) 157-91-63, 157-91-64; Fax: +7(499) 943-86-05; e-mail: infocenter@gosniias.ru.